It is the desire of us all that the Lord Jesus would stay with us, that we would experience the warmth of His presence and of course He is with us but we don’t always recognize Him or feel His presence. We are often at the early stage of this journey to Emmaus – the time of sadness, darkness, blindness and confusion; we find ourselves running away from the painful realities that might in fact be our salvation. I think that we as an Irish nation are at this early stage of the journey even as we long for the warmth of its conclusion. My young companion Fr. 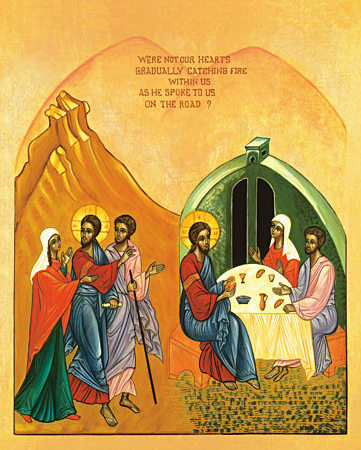 Jaimie and I often have a kind of spontaneous Emmaus evening when we sit together and chat about the things that matter to us; we have conversations about some of the hard realities of our lives, conversations that eventually warm our hearts because they have Jesus as their centre. Jaimie has a purity and keenness of spirit that I have come to trust. Recently, after his return from pilgrimage in Medjugorje he spoke about the strange coldness he found in Ireland, a coldness that contrasted with the warmth of Medjugorje – and he wasn’t talking about the weather! He was talking about a coldness of the spirit and it resonated with me because I have been feeling it myself of late. It’s a feeling I usually experience with death and grief. When someone close to me dies, I am already cold inside even before I hear the news of their death. And I feel cold in relation to Ireland – as if we are dead or dying. When I reflect on what transpired at the Citizen’s Assembly last weekend then I understand why there is such coldness in the spiritual air of the country. 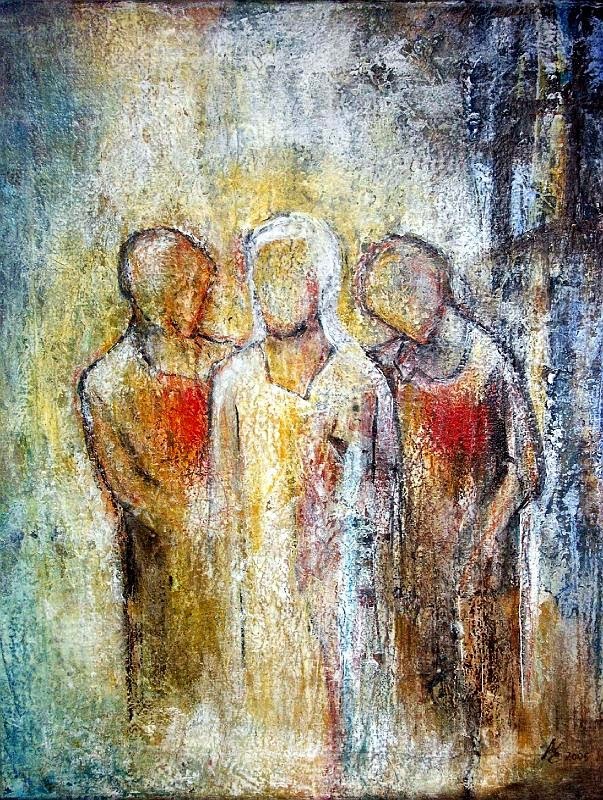 We have become a people like the two disciples on the road to Emmaus – a people walking away from salvation, our eyes, hearts and minds closed to the presence of Jesus and to the Way He has marked out for us. We go on as if Jesus does not exist at all. It seems to me that the Assembly has accelerated our descent into the cold dark night of the soul. But unlike todays Gospel there can be no warm conclusion – not yet and maybe not for a long time to come. These decisions separate us as a people from Christ in a most profound and radical way. There’s a Scripture from the Bible that has struck me very forcibly. The Lord spoke to His people through Moses, “I put before you fire and water – stretch out your hand and touch which one you choose. I put before you life and death, a blessing and a curse. Choose life then so that you and your children may live in the love of the Lord your God.” (Deuteronomy 32 and parallel texts) Choose life! Choose life! The words of God Himself. The choices we make, the choices we allow to be made on our behalf have their own consequences. These dark realities are the things that we as Christians need to talk about as we journey through life and our conversations must have Jesus at their centre, leave space for Jesus to reveal Himself, leave space for Him to instruct us, to open our minds and set our hearts on fire with the love that He has for everyone and especially for the least of all.